I should like to pay tribute to the tremendous community spirit shown by residents in one of our local areas, who responded quickly and effectively to a spate of burglaries. This happened in an area with very little crime, but, when suddenly there is a series of burglaries, it is a very frightening experience for people. Your immediate thoughts are for the safety of yourself and your family. Residents used a closed group on Facebook to keep in touch with each other and reported the incidents to the police. Within a couple of days the police had caught the suspects and recovered stolen property. One individual is already behind bars, and the others are subject to bail conditions which prohibit them from entering the area. To give everyone a chance to come together and have an update from the police, I convened a meeting within a week. We also invited representatives from other Neighbourhood Watch Schemes to explain how they work. 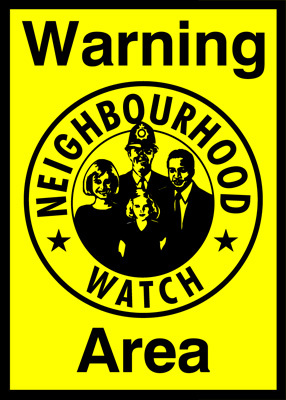 From that, residents have decided to set up a local Neighbourhood Watch Scheme, working in partnership with the police through a series of co-ordinators who will report any suspicious activity in the area – becoming unashamed curtain twitchers as someone put it. This activity does not replace police patrols or other crime prevention measures, such as keeping street lighting on in the most vulnerable areas, but it gets many more pairs of eyes on the look-out and acts as a deterrent to criminals. Also, some insurance companies offer more favourable rates to householders who are part of a Neighbourhood Watch Scheme. Many thanks to those who have taken the initiative, and we will now be looking to involve more local residents.